Nowadays Google plus is playing an important part in the social media section. So it is a very essential social tool for bloggers and webmasters to get smart traffic and for better marketing. Now let me come to the point. As like Facebook custom URL and twitter username, Google plus also offer personalized username link to remember better and to show a brand. I mean you can make your Google plus profile URL as plus.google.com/+yourname. Now, a simple question in your mind may arise, what is my google plus username? By default Google plus uses some numeric numbers in their URL. It looks unprofessional, ugly and it’s very hard to memorize. So suppose, when your friends and your colleagues ask you to say your Google plus profile link, what you will do? How do I find my Google plus profile URL? Don’t worry! I am giving you its solution today. It’s easy as like drinking a cup of coffee. Let's see how to make custom URL Google plus. SEE ALSO: How To Link Website To Google Plus Profile? How To Create Google Plus Username For G+ Profile? 1. Login to your Google+ Account. 2. 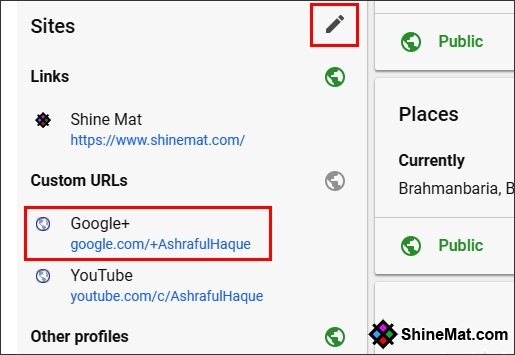 If any custom URL available for your account by default you will see a notification banner just below your Google plus profile name. 3. Click on the notification banner. 4. Now write down your unique custom URL words or numbers and click the "I agree with Terms of Service" check box. 5. Finally, click Change URL and click Confirm button. Now you can visit your custom URL to reach on your Google+ profile directly. 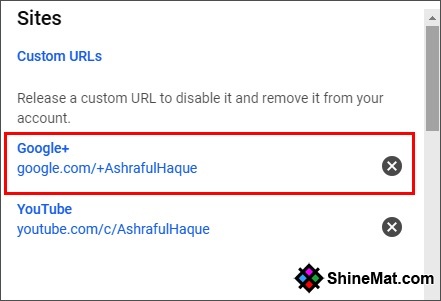 If you already created custom URL link for your Google+ profile that you want to remove and create a new one just follow the below steps. A. If you change your G+ profile custom URL you can not access your profile using old custom URL and other links that contain your old G+ profile link will no longer available. READ THIS: How To Find The Gmail / Google Account Creation Date? The Steps To Remove Existing Google Plus Custom URL. 2. Find Custom URLs under Sites section. 4. Now next to Google+ click Delete (X) icon. Click Continue. 5. After removing, click OK to done. So, what are you waiting for? 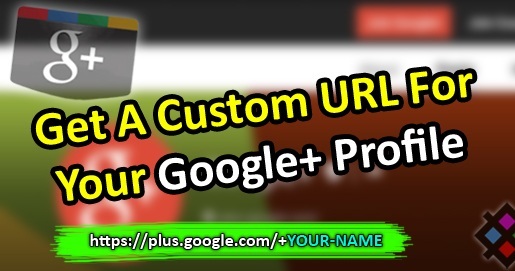 Claim now your classic Google plus custom URL before someone else claims your username. 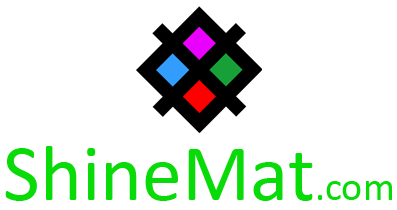 If you need any assistance to get a custom URL for your Google+ profile, let me know. Now, give me a smile buddy! Have fun. Allah Hafez. Many poinMany thanks for this brilliant post! ts have extremely useful. Hopefully you'll continue sharing your knowledge around.